Welcome! The Cordova Recreation& Park District (CRPD) provides quality recreational programs, parks and services for our diverse and growing region. 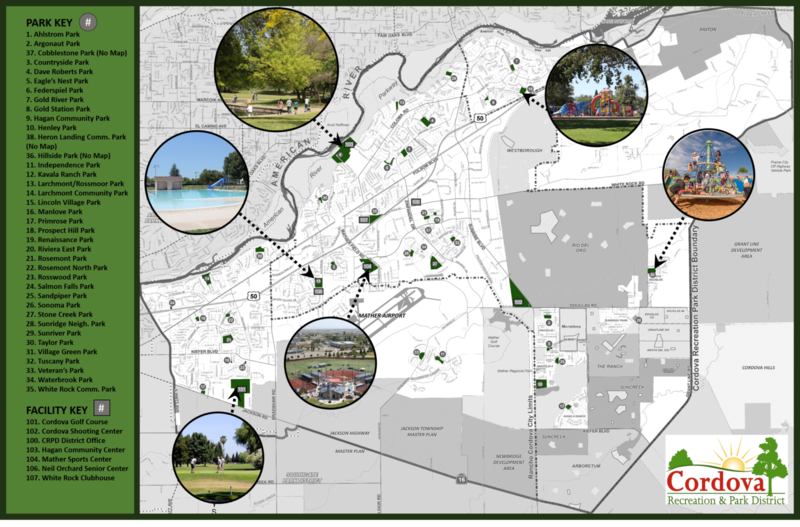 We proudly serve communities within Sacramento County including the City of Rancho Cordova and the unincorporated areas of East College Greens, Rosemont, Mather, and Gold River. View a map of the CRPD here. Established in 1958, CRPD is an independent special district governed by an elected board of directors and primarily funded through property assessments and fees. The balance of the district’s operating budget is supported through registration fees, rental fees and grants. CRPD strives to use its resources wisely and always with an eye towards reinvesting in our community for generations to come. Read more about our inception here.